The link to my published work on Acidic Fiction! Go ahead and click…I dare you 🙂 Its my first published work so I admit I may be a little over excited. In honor of breaking the barrier between author hopeful and published author, I posted an extra chapter to my novel Spider’s Game on Wattpad. Now that I have showered you with links…Pictures! 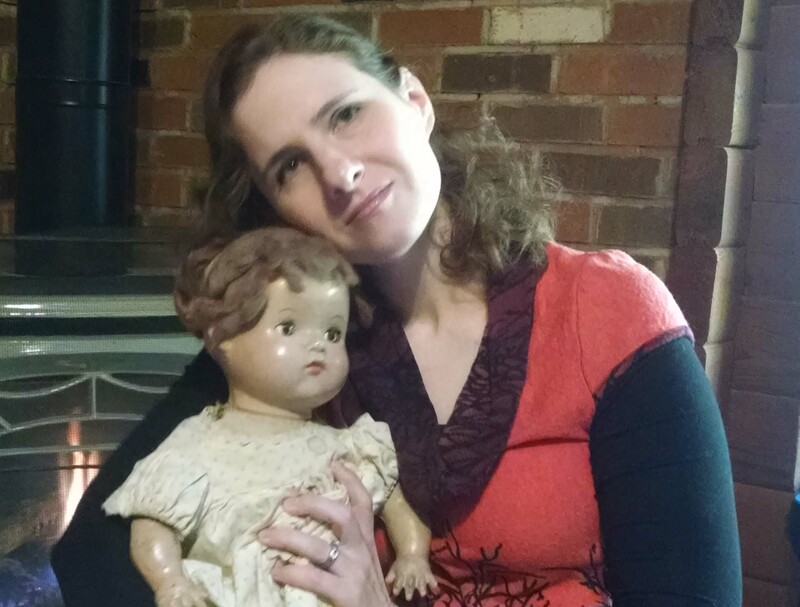 Since Little Cracks was inspired by a real doll from my youth, I thought it seemed apt to share the doll. I won’t say much more than that but both me and my brother were terrorized by this doll in our youth. 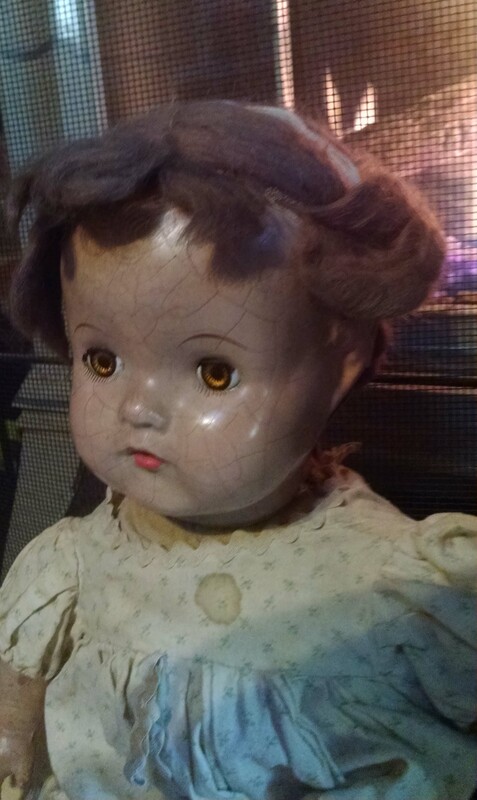 I much like the girl in my short story, was a lonely shy little thing and even though I was terrified of the doll…like nightmare terrified…I still considered her my friend and used to sneak down the stairs into our garage to hold her and talk to her. 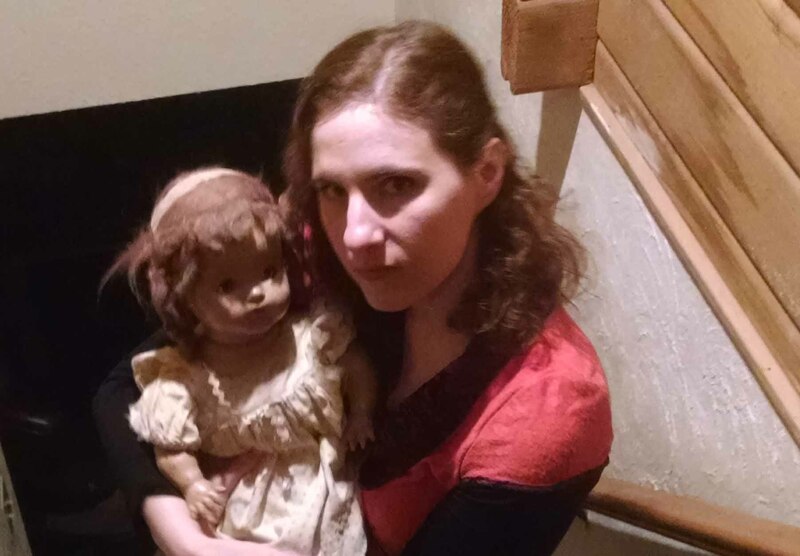 Creepy doll near her natural environment…the bottom of dark stairs. I read it and was pulled into the story. Congratulations. Pretty creepy. 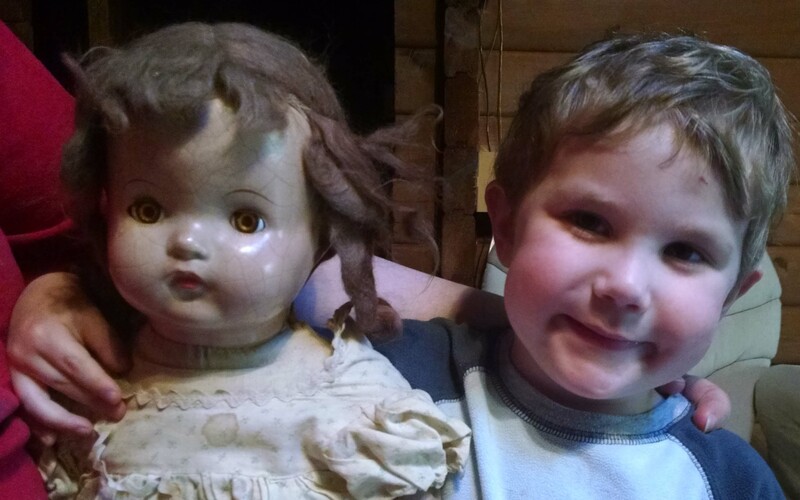 Please don’t put the doll in my bed room! Loved it! I wanted to turn the page, but it ended! Please finish the story of Chucky’s little sister. It also reminded me of the angels in Dr Who. Oh, those Dr Who angels *shiver* Considering how terrifying I find them I’ll take a comparison as a HUGE compliment!